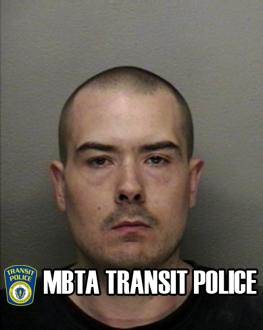 On June 4, 2015 at approximately 2:20PM Transit Police officers working in Area 1 were conducting Point of Entry Policing at the MBTA's Back Bay station. While there they observed a male, later identified as Timothy Chapman, 35, of Woburn fare evade by "Piggybacking" in behind a paying customer. Officers approached Chapman for the purpose of issuing a citation and subsequently discovered there was a warrant in existence for his arrest issued from Concord District Court for Motor Vehicle violations. Chapman was placed into custody and transported to Transit Police HQ for the arrest booking process. During booking Chapman was found to be in possession of nearly 7,000 dollars in US Currency. Yes that's correct, he evaded a $2.10 fare while in possession of nearly 7 thousand dollars and had a warrant for his arrest. Hmmmmmmm.